Kim Long City Complex possesses most advantageous position in Lien Chieu District with a scale upto 11 ha. Subdivision E of the project was one of the divisions which was designed by Eden Landscape to form a standard residence area of Lien Chieu district. 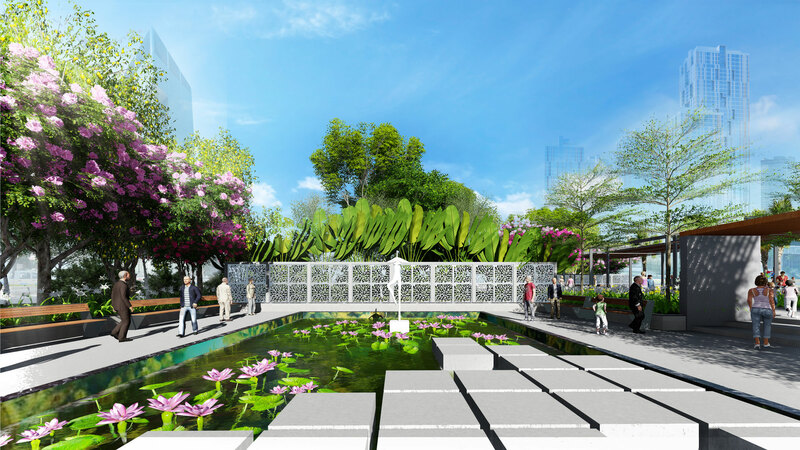 The ocean was the strong inspirational element for Eden Landscape architects to design landscapes for Kim Long City – Subdivision E which would let to a standard city with oceanic spirit. 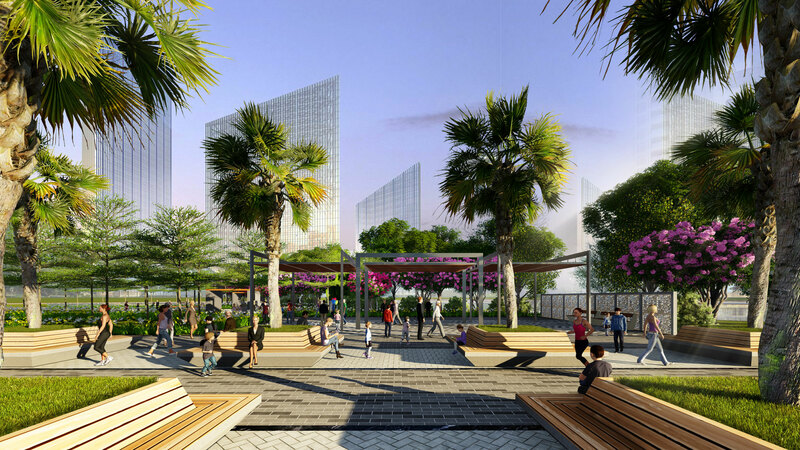 The landscape inside Kim Long City project – particularly Division E did not only create an outstanding face for the project but also preserve local values which were natural and cultural beauty. Therefore, the design would provide the residents with a modern, convenience and also close to local environment, life and people. Landscape architects proposed enlarging public space based on existing green space position. Based on the nature and need to use the landscape, Subdivision E is divided into four main areas from Zone 1 to Zone 4. Each zone was researched and developed to maximize the green space and community space along with modern landscaping facilities. The design not only met the aesthetics of urban landscapes, but also met the needs for outdoor activities, community exchanges of residents. Therefore, every area was carefully studied by the architects of Eden Landscape about the interoperability, the scope of service of the landscape. 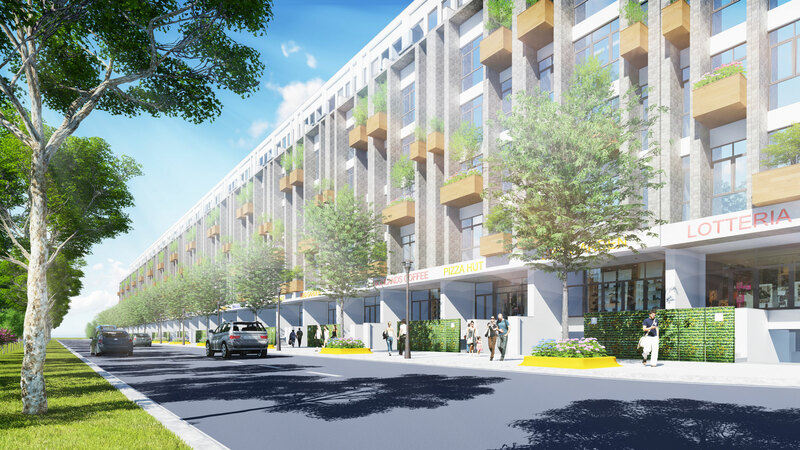 Landscape design of Subdivision E – Kim Long City created an impressive image for the project, providing an ideal living environment for residents and building modern urban culture for the community.